Make your way down to Paradise Island Beach Club this fall and take advantage of the incredible weather of this tropical getaway. The fall weather is quickly getting colder, but not in Nassau! This beautiful Bahamas island is ideal for relaxing on the beach and relieving your stress. While vacationing on our breathtaking island, visit the various historical sites and learn a little bit about the history of this unique part of the world. With so many great locations to visit on the island, you will never run out of exciting and fun things to do. Here are just three must-sees while on your Nassau, Bahamas, vacation at Paradise Island Beach Club! Be sure to make your way to the Caves of Nassau while on your Bahamas vacation. Various groups of people have used these magnificent natural caverns throughout the history of the island. Nassau’s earliest settlers, the Lucayans, took advantage of the natural protection from the elements and optimal temperature of the caves for storing food. Similar to the Lucayans, pirates would use the caves as a hideout and location to guard their loot. Remains and artifacts from both groups have been discovered in the remarkable island formations. Visit the Caves of Nassau for a close-up view of this fantastic part of Bahamas history. Another historical Nassau site worth experiencing is Fort Montagu, located just ten minutes away from Paradise Island Beach Club. This fortified stone structure dates back to 1741, making it the oldest of three forts situated on Nassau. Fort Montagu was made from the island limestone to defend the British controlled island from Spanish troops. In 1776, the fort was captured by American forces in hopes of utilizing the various supplies and gunpowder in the American Revolutionary War. The British, however, had seen this coming and the fort was near empty upon the troops’ arrival. Climb up the weathered stronghold and take in the beautiful harbor view before enjoying a picnic on Montagu Beach. 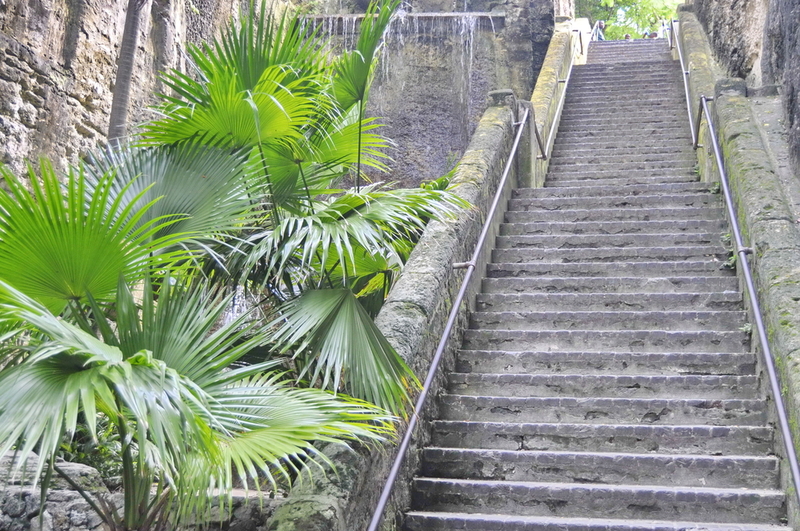 The final Nassau must-see on our list is the Queen’s Staircase. This island landmark is a human-made passage constructed in the early 1700s connecting Fort Fincastle (the highest point on Nassau) to the rest of the Island. Six hundred slaves were forced to carve the limestone hillside by hand, which took nearly sixteen years to finish. This important part of Bahamas history was named ‘The Queen’s Island’ in the 1800s to honor Queen Victoria, who aided in abolishing slavery during her time as British royalty. A vacation to Paradise Island Beach Club is sure to be a relaxing and memorable trip. Book your stay at this beautiful Bahamas getaway and enjoy all of the incredible Nassau sights. This breathtaking island is steeped in history waiting to be discovered by you. Visit our Paradise Island Beach Club website today and book your much-needed Bahamas vacation!